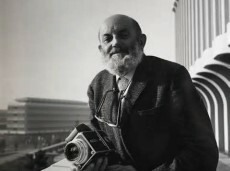 Ansel Adams was born on February 20, 1902, in San Francisco, California. Adams rose to prominence as a photographer of the American West, particularly Yosemite National Park, using his work to promote conservation of wilderness areas. His iconic black-and-white images helped to establish photography among the fine arts. He died in Monterey, California, on April 22, 1984. Ansel Adams was an American photographer best known for his iconic images of the American West, including Yosemite National Park.